Find attached a Flood Re Flyer. Flood Re is a joint government and insurance industry initiative to help people find affordable insurance for qualifying properties that are at risk of flooding or have been flooded. 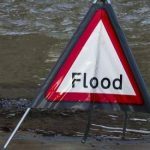 If you are aware of anybody who lives in a flood risk area or has been flooded, please pass this on to them.